Safe Step offers a special discount of up to $1,500 to provide one of our high quality walk-in tubs at a reduced price. If you or a loved one has trouble bathing, you may qualify for these savings! Up to $750 off per qualified individual, up to $1,500 off per household. Some restrictions may apply. or call us at (800) 346-6616. Safe Step Walk-In Tubs offer advanced features to get the most out of your bathing experience. Our new heating system gently heats your seat and backrest for added comfort. 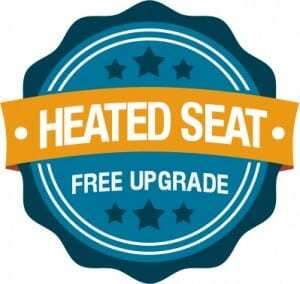 This free upgrade ($600 Value) is available for a limited time, so please contact us today to request an estimate and reserve your free heated seat! * Heated seat offer only applies to Safe Step Walk-In Bathtub products. Safe Step showers DO NOT include the heated seat feature.